Provide comfort for the family of Robert Russo with a meaningful gesture of sympathy. Robert R. Russo, a longtime resident of Brewster, NY, died in Danbury, CT on December 15, 2018. He was 80 years old. Born on May 24, 1938 in Bronx, New York, son to the late Pasquale and Amelia (Musorifiti) Russo, he was a graduate of DeWitt Clinton High School. Robert married the love of his life Elizabeth T. Ruggiero on October 18, 1959. Mr. Russo was a devoted husband and family man. He had a passion for horticulture and was able to make that passion his life-long career, working for the New York Botanical Gardens until his retirement. Robert is a parishioner of St. Lawrence O’Toole Church in Brewster. 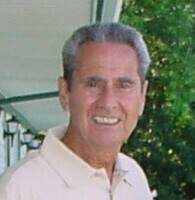 Mr. Russo is not only survived by his wife Elizabeth but also his three sons; Robert Russo of White Plains, NY; Joseph Russo ( Joanne Bentivoglio-Moreno) of Carmel, NY, Michael Russo of Bethel, CT; his five grandchildren: Joseph, Christopher, Steven, Michael, and Nicolas; one great-grandchild, Aiden and his brother, Dr. Stephen John Russo of Huntington, NY. He was predeceased by three sisters, Rosemarie Russo Burson, Rita Russo Lombardo, and Helen Russo and one brother, Vito Russo. Webster Ave. & E. 233 St. Donations are being accepted for: THANC FOUNDATION INC.
Our Dad, Louis, adored Bobby, shared his love for all living plants and loved working with him at New York Botanical Gardens. The stories of their adventures - and lunchtime ping pong games - remain cherished family memories. We would like to express our sorrow and condolences to you and your family. May you take comfort knowing that you are surrounded by people who care for you, if there is anything we can do, please don’t hesitate to reach out. Bob Heinisch and family. 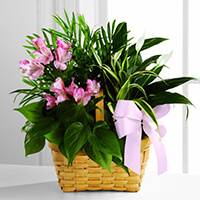 purchased the The FTD Living Spirit Dishgarden for the family of Robert Russo.